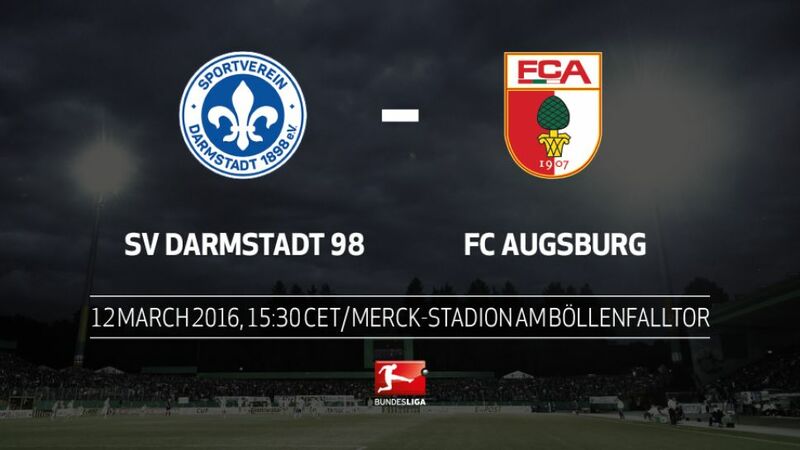 SV Darmstadt 98 welcome FC Augsburg to Hesse on Saturday afternoon (kick-off 15:30CET/14:30GMT) with both teams in desperate need for points in the battle against relegation. Darmstadt kept their heads narrowly above the relegation zone with an obstinate 0-0 draw at UEFA Champions League-chasing 1. FSV Mainz 05 on Sunday. Die Lillien have only picked up two points from their previous five matches, though Sandro Wagner appears to be hitting form at the right time, with five goals in 2016 so far. Augsburg travel to the Merck-Stadion am Böllenfalltor without first-team regulars Jan-Ingwer Callsen-Bracker, Markus Feulner and Dong-Won Ji, who are injured. Augsburg took a 3-0 lead against Bayer 04 Leverkusen last time out before Die Werkself battled back to draw 3-3.